Mushrooms as an Aromatase Inhibitor? I have a whole page of fairly commonly used Natural Estrogen Blockers. Of course, one of the ways you can "block" estradiol (the "Mother Estrogen") is by blocking the aromatase enzyme. For all practical purposes, men get all of their estradiol from the conversion of testosterone to estradiol via this enzyme. If you limit that enzyme in some way, then you slow down this conversion process and up with lower estradiol levels. And one of the reasons that men want to control estradiol is that as they age, are under chronic stress and/or gain weight, their estradiol levels can rise to unhealthy levels. When it comes to estradiol, the smart thing to do is to get it measured using your lab's most sensitive test - it has to be appropriate for men who have lower levels - and see where you are at. You do not want to lower estradiol too low nor do you want it too high in my opinion. Going too low can result in osteoporosis and, as far as going too high, see these pages: High Estradiol and the Link with Prostate Cancer / Enlarged Prostate and High Estradiol Increases Arterial Plaque. Unfortunately, many doctors are completely unaware of the crticality of estradiol to the male neurological, cardiovascular and erectile systems. And they are often constrained by insurance costs and protocols. For this reason, you may have to pull the number yourself and go to your doctor with the information. If interested, you can get some ideas in my Testosterone Labs page. "I had symptoms of high estradiol, but started making sure to include plenty of cruciferous vegetables, mushrooms, and a moderate amount of soy in my diet. Don't know what worked or what didn't, or if it just would have worked out on its own, but my estradiol is now actually on the low side. I make sure to eat mushrooms at least once a week. It's not a burden, they're cheap, nutritious and I really like them, so even if they aren't doing anything no loss." Of course, the question is dosage, but this study showed that mushrooms do at least have the potential to be a decent AI (aromatase inhibitor). So just how many mushrooms would you have to eat to have a clinical impact? Well, a recent study on breast cancer survivors provides some insight at least. Basically, the researchers prepared a white button extract that was the equivalent of 10 times the same amount in actual mushrooms. 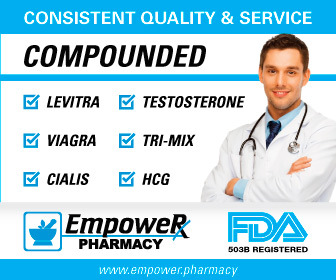 In other words, a gram of the extract was the equivalent of 10 grams of white button mushrooms, which are the common kind found in grocery stores here in the U.S.
Can a man really reduce estradiol levels with white button mushrooms? My guess is that, if he eats enough, he can get a little bump downward. I see virtually nothing written about this in the steroid forums and so there cannot be much of an effect there, or it undoubtedly would be quite popular in that setting. Another issue may be the quantity required. 70 grams of white button mushrooms is about a cup and, therefore, we are talking about eating a cup-and-a-half to two cups daily, something most men would probably not be too excited about doing. Again, though, combine with a zinc/copper combination supplement, this may achieve some modest effects. CAUTION: Always discuss new supplements with your doctor, especially if you have an existing medical condition or are on any medications. 1) J. Nutr, Dec 1 2001, 131(12):3288-3293, "White Button Mushroom Phytochemicals Inhibit Aromatase Activity and Breast Cancer Cell Proliferation"
2) http://foodforbreastcancer.com/news/white-button-mushroom-extract-has-mild-influence-on-aromatase-activity , "White button mushroom extract has mild influence on aromatase activity", Posted: Jun 15 2011, Breast cancer study, Conference: American Society of Clinical Oncology (ASCO) Meeting, June 2011 Study name: "A dose-finding clinical trial of mushroom powder in postmenopausal breast cancer survivors for secondary breast cancer prevention"